Cheese is one of our specialties. 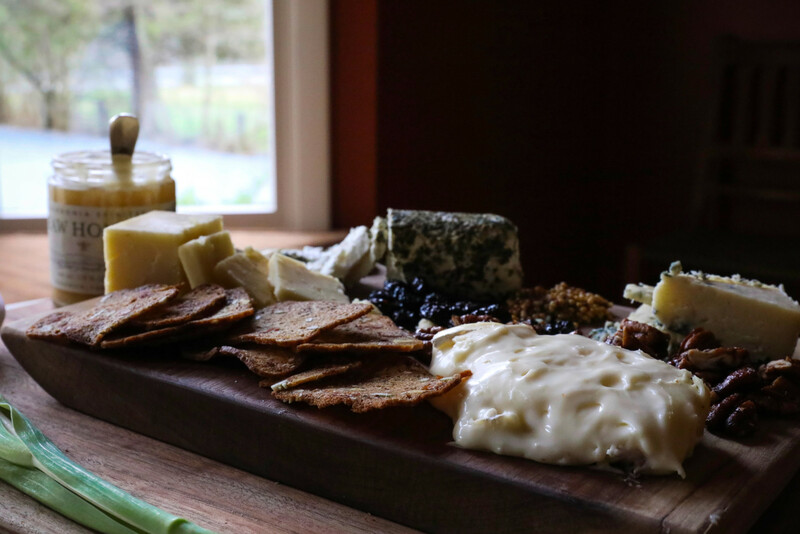 We’ve tasted, melted, and schmeared dozens of local cheeses since owning the Jackson House Inn. Granted, we certainly aren’t hard pressed to find world class product here. 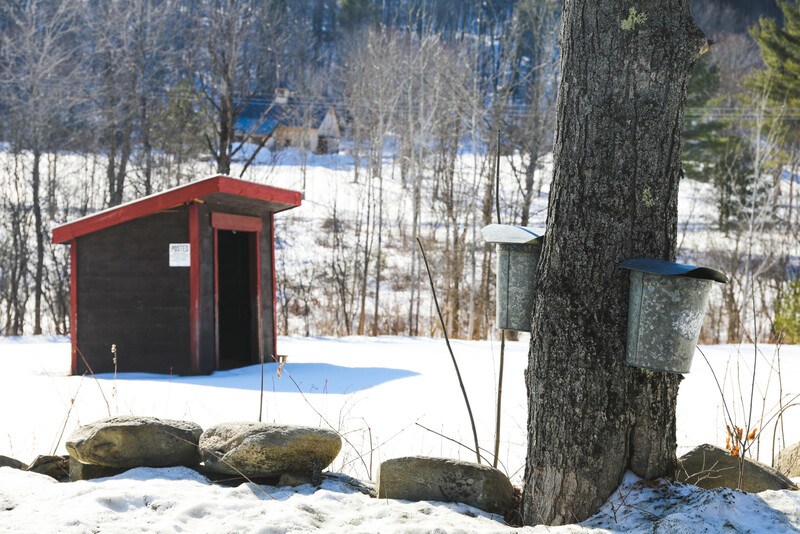 We’re spoiled with a wide variety of award-winning cheeses here in Vermont. 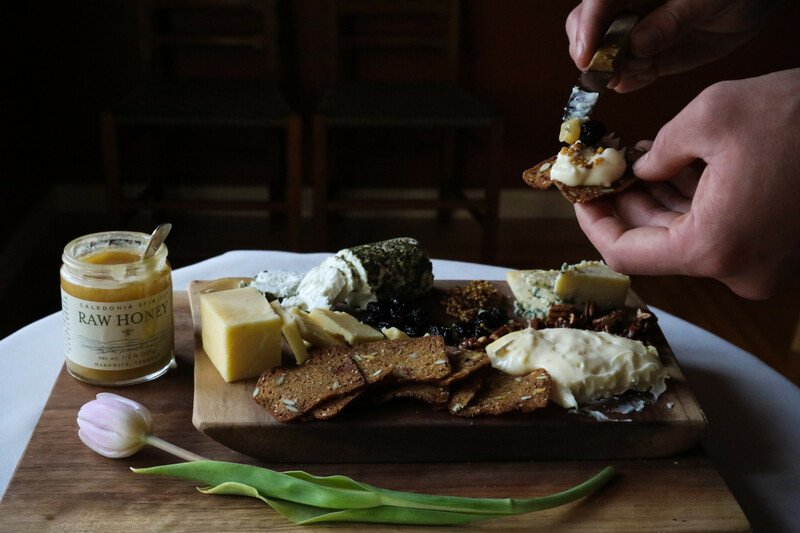 Assembling a cheese board gives us the opportunity to showcase our local artisans – cheese makers who have perfected their craft and whom we admire. We are offering up a few of our favorite tidbits to help you in constructing your next crowd-pleasing cheese plate! According to Naomi Pomeroy, “The first step in building a cheese plate is to find a cheesemonger whom you respect and trust.” This is key. Not only can these professionals talk you through the different cheese offerings available, they may also let you taste as you chat. 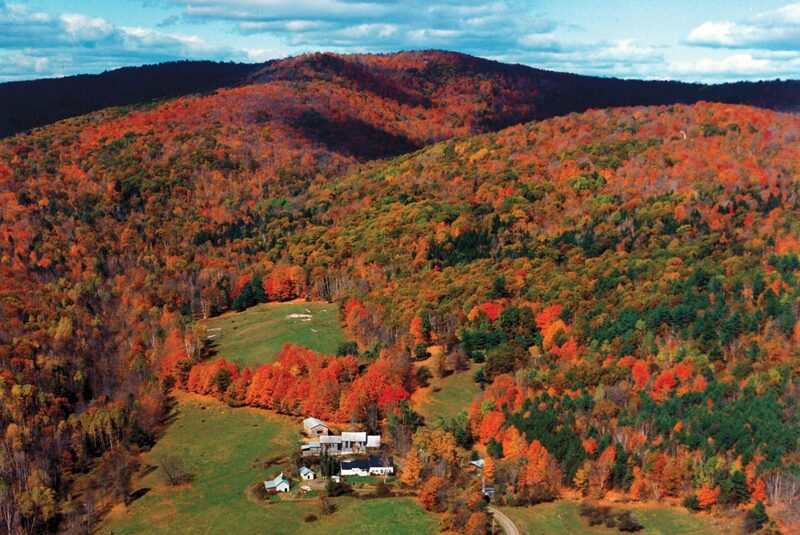 If you have access to Vermont cheeses, you may want to consider the selections we’ve chosen below. Plating ultimately comes down to your preference. We tend to limit our cheese board to three or four cheeses that vary in source (goat, cow, sheep), texture, and flavor intensity. A good rule of thumb is to provide three to four ounces of cheese per person.”To please as many people as possible,” Naomi suggests having “at least one cheese that’s relatively mellow, like a clothbound Cheddar.” In addition, we tend to arrange our cheeses by potency, leaving a blue cheese last for example. We always like to inform our guests of the order and suggest they start with the most mild of cheeses, so to not shock their palates from the get-go. In general, cheese should be served at room temperature. We suggest pulling your cheeses out of the fridge a couple hours prior to serving. This all boils down to the fact that “cold fat doesn’t taste like much; the flavor comes when the cheese warms up a bit.” Have a wicked ripe cheese that’s already soft in the fridge? That’s an exception. Pull that baby out much closer to the time you plan to serve your guests. Another consideration for your cheese plate includes “vehicles”! Cheese can be messy, especially when brie and honey are involved. Select a durable cracker or toasted baguette slices to safely carry your cheese/nut/fruit selection from the board to your mouth. Beyond this, there are many accompaniments from which to choose – candied nuts, poached fruit, honey, mustard, or compote. We like to provide a variety of extras, keeping in mind how an accompaniment may play off a heady or mild cheese. All in all, providing a wide selection of complements will allow your guests to assemble their bite however they like. First up on our cheese board selection: the mild and traditional Original Plymouth Cheddar from Plymouth Artisan Cheese. A staple for any cheese plate, cheddar is a perfect pairing with apple slices. The sweet, tart, effervescent profile of a Pink Lady or Granny Smith brings new life to the classic taste of cheddar. A drizzle of local honey may also please those guests craving something sweet. 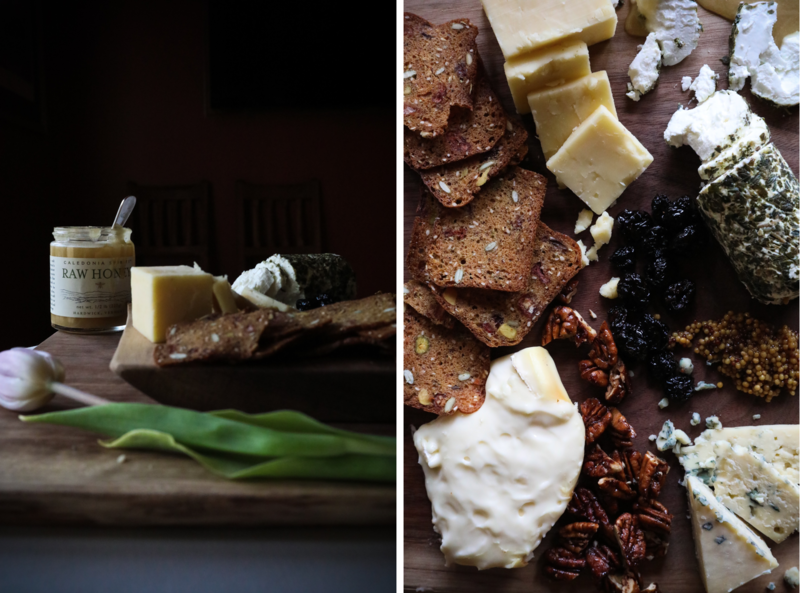 We salivate over Vermont Creamery goat cheese. 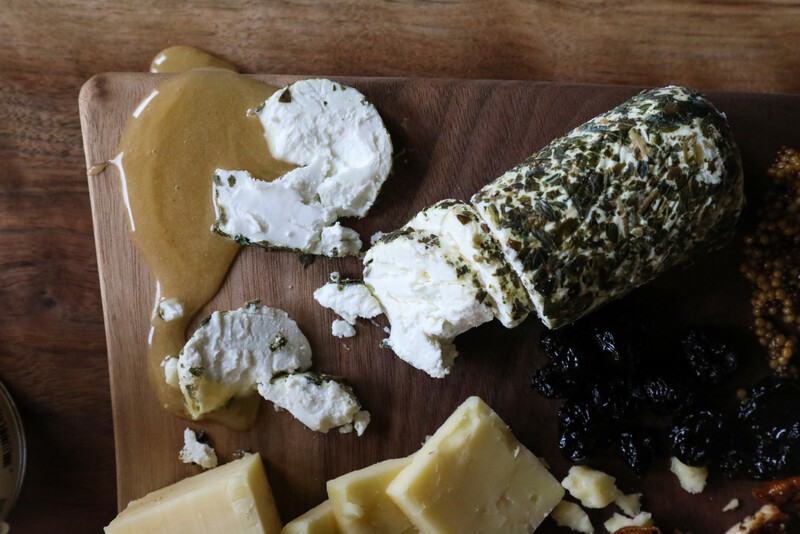 While we adore their ripe aged cheeses, we can’t help but savor VC’s Herb de Provence Chèvre. An original of the creamery, this fresh goat cheese was practically unheard of when owners Allison and Bob first collaborated. Lucky for us, the popularity of goat cheese has skyrocketed since then. The crumbly texture and subtle herb flavor of this particular log earns high rankings in our book. We like to pair our creamy, somewhat mild chèvre with poached cherries for a sweet match on the palate. Bow down to the ever-favorite Jasper Hill Farm Harbison! Its deliciously gooey appearance is nothing compared to its woodsy, sweet, yet balanced flavor. We especially love when we have the opportunity to serve this cow’s milk cheese to a larger group. More people = large portion on the board. Offering a whole wheel of Haribson allows you the option of serving this cheese in its beautiful spruce bark encasing. Harbison is both visually and texturally intriguing. After all, who doesn’t love a spoonable cheese with which you can spread, schmear, and make a delicious mess? You may peel the bark away on younger Harbison wheels for portioning. Fruit and crusty bread or crackers make for the perfect accompaniments for this cheese. 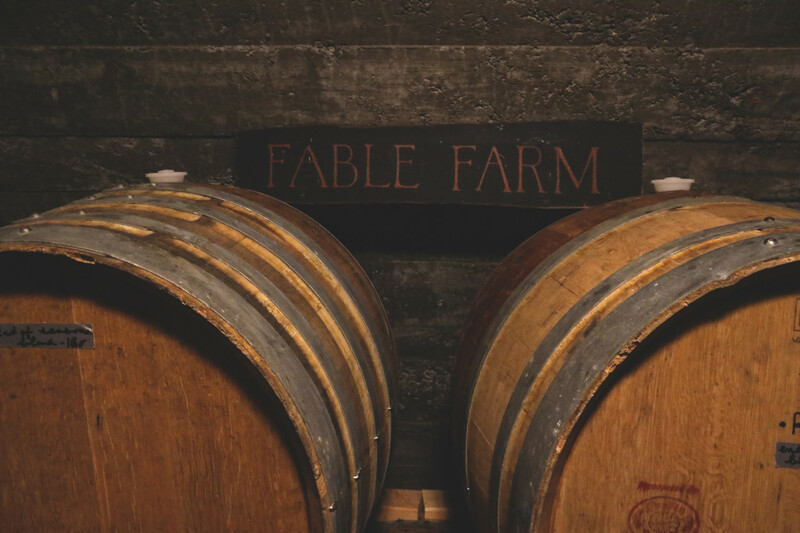 Last, but certainly not least, we added Jasper Hill Farm‘s Bayley Hazen Blue to our board. 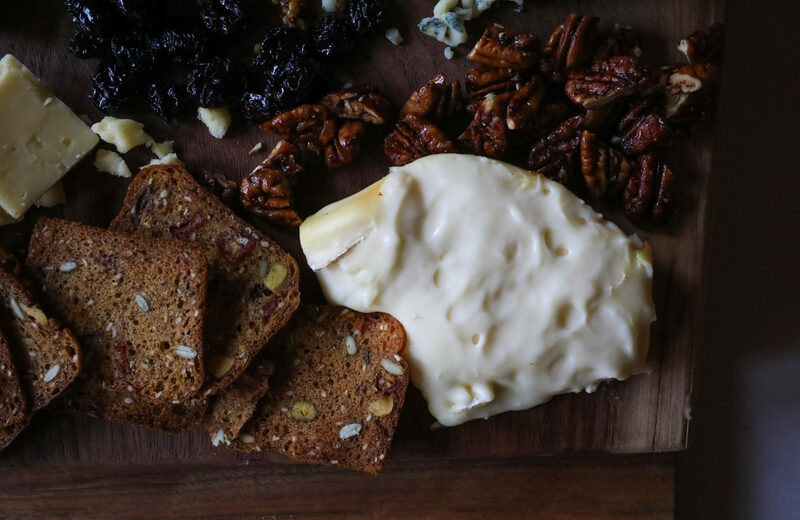 A familiar name to the White House menu, this cheese’s dense and nutty profile has earned a whole lot of well-deserved attention in the cheese world. Bayley Hazen is the perfect way to round up your guests’ cheese tasting journey, as this blue was meant to leave a lasting impression. 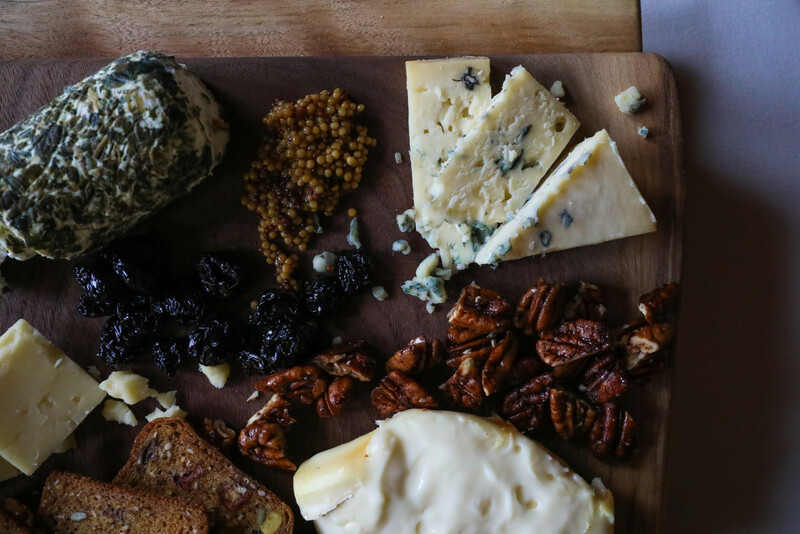 We love pairing this ultra fudgy blue with candied pecans or pickled mustard seeds. There you go! 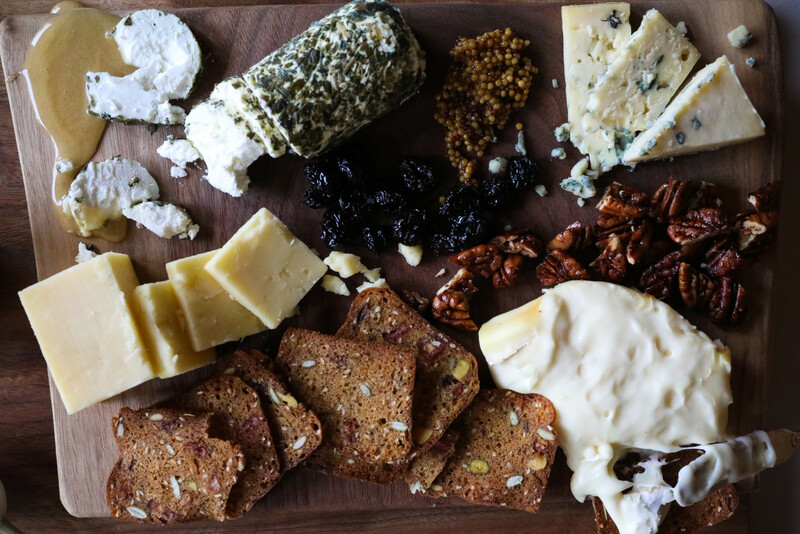 Our guide to the ultimate cheese board. 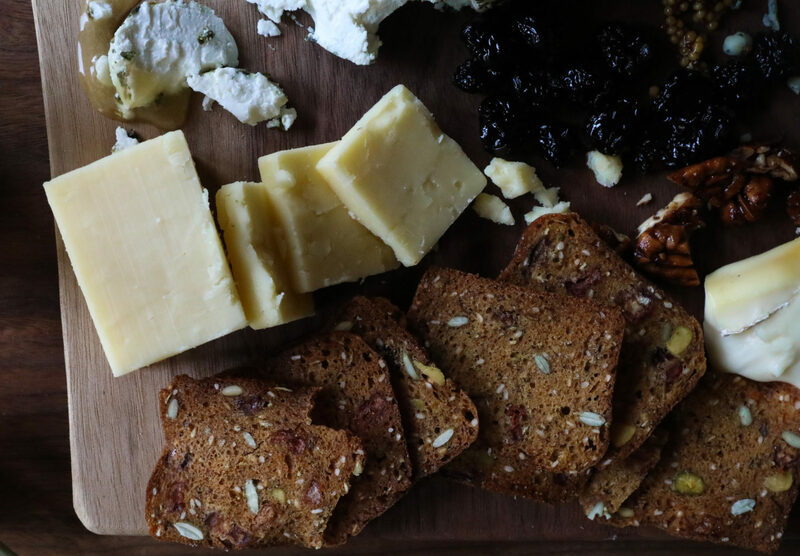 Read and follow our suggestions, and feel prepared to assemble your next cheese board with confidence. Impress your guests and tantalize their palates with an array of texture and flavor. 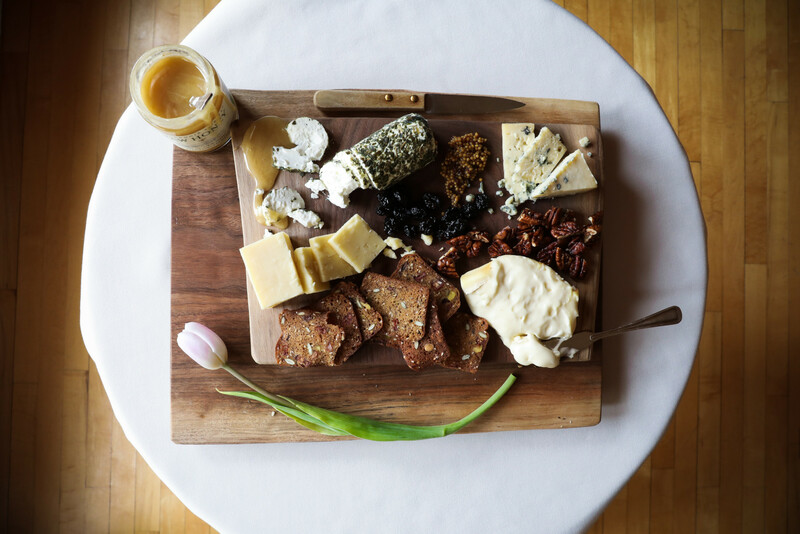 Also feel free to tag #jacksonhouseinn on Instagram to share your own cheese board with us! We can’t wait to see what inspires you!